Naruto. .... HD Wallpaper and background images in the Naruto Shippuuden club tagged: sasuke naruto sakura naruto shippuden shippuden. 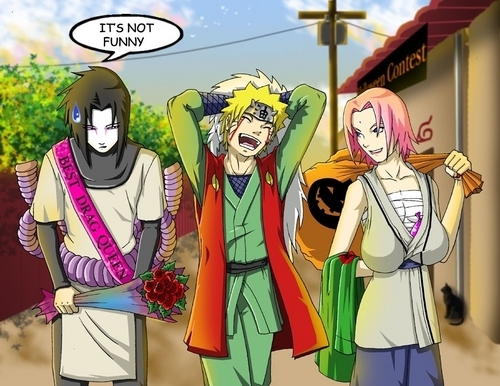 Sasuke are BEST DRAG QUEEN for this year!!!!!!! ha...ha..hya..